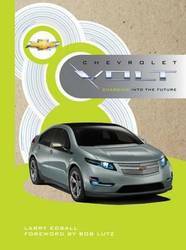 The Chevrolet Volt was introduced to the motoring public with great fanfare in autumn 2008. Clean styling and creative engineering have created a tremendous buzz around the Volt, which is unlike any electric car to date. Chevrolet Volt takes you behind the scenes of the car's development from concept to finished product. With unprecedented access to the people that made the car happen, author Larry Edsall brings you behind the scenes with exclusive photography from General Motors. In-depth interviews of the designers, engineers, aerodynamicists, and other key figures reveal the hurdles and setbacks, advances and victories in the car's evolution. No other book offers the unrestricted access to the development of one of the most important cars from Detroit--ever!